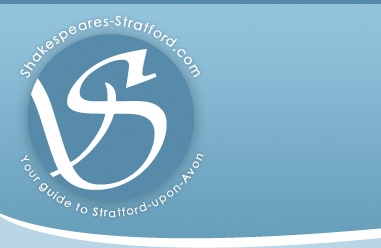 On Saturday April 24th, the people of Stratford will welcome guests from around the world in celebration of the 446th birthday of our greatest playwright, William Shakespeare . Building on the success of last year’s Birthday Celebrations, the 2010 programme of activities will bring together the unique traditions at the heart of the famous annual event and an array of creative and diverse talent, to stage an action-packed weekend of drama and festivities for everyone to enjoy. From 10am, the streets of Stratford will fill with music and entertainment to create a vibrant party atmosphere for both residents and visitors. The town centre will be a hive of activity with theatre groups performing ‘Shakespeare Live!’, and the much loved traditional contribution from the Shakespeare Morris Men. There will also be country dancing by local primary school children, as well as representatives from the Girl Guides, who are also celebrating their centenary year. Ambassadors and guests from all over the world will join the people of Stratford in the traditional Birthday Procession led by the Band of The Royal Engineers as it makes the symbolic journey through the streets from Shakespeare's Birthplace to lay flowers at his grave in Holy Trinity Church. The action will pause briefly in the town centre for the all-important ceremony, at which flags from nations around the world will be unfurled. This year, spectators and members of the public are invited to join the special ‘people’s procession’ as it winds its way to the Bancroft Gardens , complete with carnival samba bands, colourful banners and giant puppets. Buzzing with musicians in costume, circus performers and wandering Shakespearean actors, the people’s procession promises to set the scene for the rest of the day’s events. The town will be alive with activities to watch or take part in throughout the day, marking an unmissable event for the region. New Place offering up mask and fairy wing making, as well as a magical ‘wishing tree’ in the Bancroft Gardens. As in previous years, there is a full programme of street entertainment throughout the centre of the town celebrating the rich artistic tapestry that is Stratford, including local amateur and professional artists performing everything from madrigals to belly dancing. People can have their portrait taken wearing masks created by local artists continuing the theme of Masquerade, taken from the RSC’s Birthday production, Romeo and Juliet. The Shakespeare Houses will be celebrating Shakespeare’s Birthday with special activities at each of the five magnificent properties that tell the story of his life in Stratford. At Shakespeare’s Birthplace, visitors will be treated to some celebratory ‘Mead Sampling’ to get them in the party spirit; while at Anne Hathaway’s Cottage there will be a giant birthday card for people to sign. This year also sees the start of an incredible archaeological excavation, ‘Dig for Shakespeare’, at New Place Gardens, once the site of Shakespeare’s final home where he died on his birthday in 1616. Visitors can get their hands dirty and sift their own spoil in search of clues about Shakespeare mysterious later years. As part of the Royal Shakespeare Company’s contribution to the Celebrations, the RSC is organising a special Birthday Challenge. Visitors to the town will be encouraged to join together at various points during Saturday to wear special masks and deliver the famous balcony scene speech from Romeo and Juliet (Romeo, Romeo, Wherefore art thou Romeo?). The masks – based on the ones that Romeo and Juliet wear when they first meet - will be available to download from the RSC’s website, www.rsc.org.uk/birthday. RSC actors will also perform the scene live during the Birthday Celebrations in Stratford-upon-Avon. Other RSC events on the Saturday include actors reading sonnets on the Chain Ferry between 12-4pm, stage fighting demonstrations and other activities for families in Waterside Space. RSC Head of Voice, Lyn Darnley, will develop performances of Shakespeare with local groups that will be performed around Stratford on Saturday. The traditional RSC Birthday performance, taking place in The Courtyard Theatre on the Saturday at 7.15pm, will be Romeo and Juliet, directed by Rupert Goold and featuring Sam Troughton and Mariah Gale in the title roles. In partnership with Chiltern Railways, there is a late night “Shakespeare Special” train leaving Stratford-upon-Avon at 11.20pm on Saturday 24 April, travelling to London Marylebone station. All standard train tickets are valid on this service.